Absolute Divorce - An Overview - The Hart Law Firm, P.A. Of all the issues you face when considering a divorce, obtaining the Absolute Divorce is, legally speaking, the easiest part. 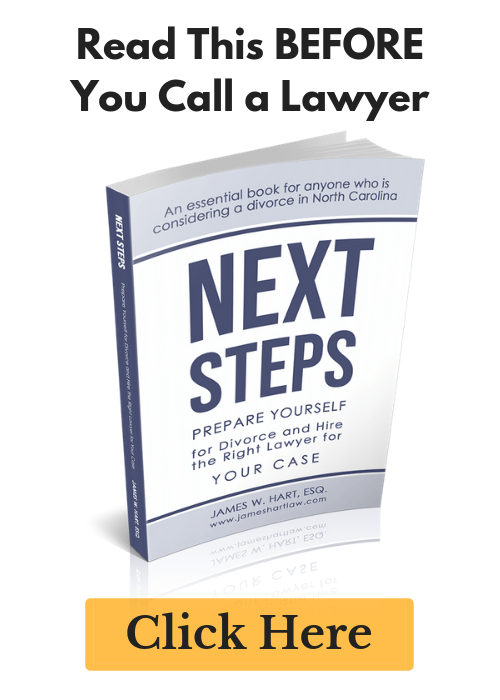 Simply put, an Absolute Divorce in North Carolina is simply a change in legal status – one day you are married, and the next day you are not. There is no division of property, child custody arrangements or spousal support (i.e. alimony) to worry about. That’s not to say that there are not implications to ending your marriage – you will give up important statutory rights and may lose access to health insurance if covered by your spouse’s plan. These are all things to discuss with a divorce lawyer. Provided that the filing is done properly and the Absolute Divorce is uncontested, most Absolute Divorces are granted within 60-90 days of filing. 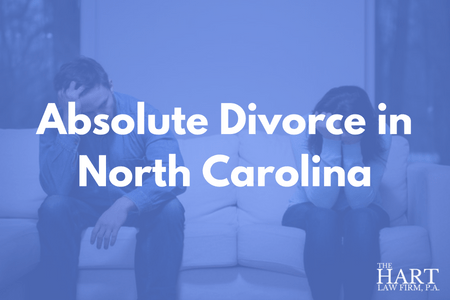 A frequent source of confusion in North Carolina is the distinction between an Absolute Divorce and a Divorce from Bed and Board. A Divorce from Bed and Board is a a fault-based process by which an injured spouse can ask the court to order the other spouse out of the marital residence, thereby starting the one-year separation period. Although obtaining an Absolute Divorce appears simple at first glance, it brings with it a number of legal pitfalls if not handled properly. 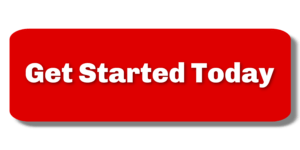 We recommend hiring an attorney to handle this process for you, although it is not required. If there are outstanding property distribution or alimony issues, you should not start the process of obtaining an Absolute Divorce until you have spoken with an attorney. As always, please feel free to contact us at (919) 883-4861 to schedule a divorce assessment to discuss this process.